A war photographer named Khalid Mohammed captured these photos which landed him a Pulitzer Prize. 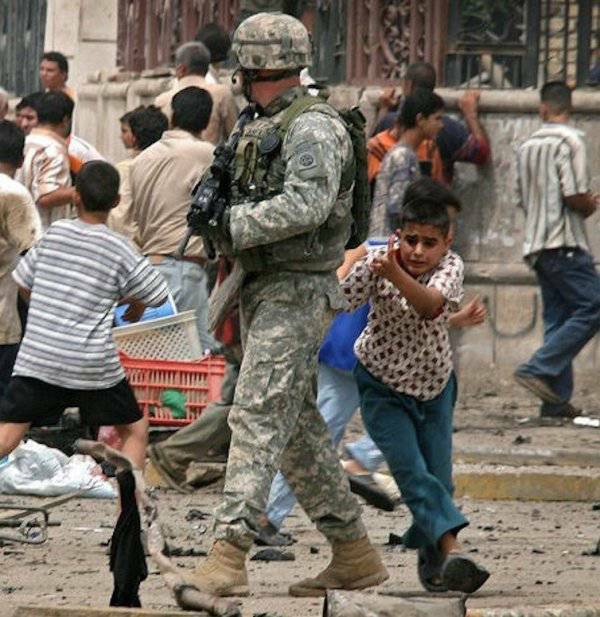 As an American soldier from U.S. Army’s 82nd Airborne patrols the streets of Baghdad, a car bomb detonated. The bomb was followed by gun shots. During the coordinated attack that left 66 wounded and 21 dead. 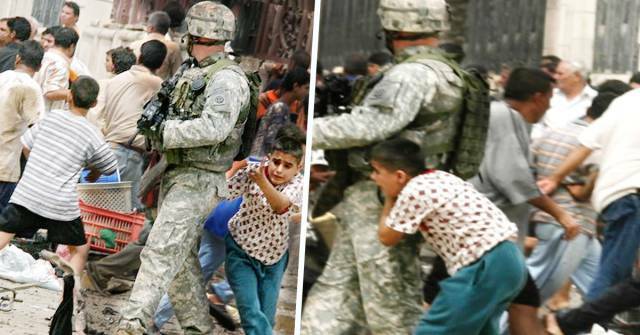 A war photographer named Khalid Mohammed captured the photo above followed by the powerful image below. 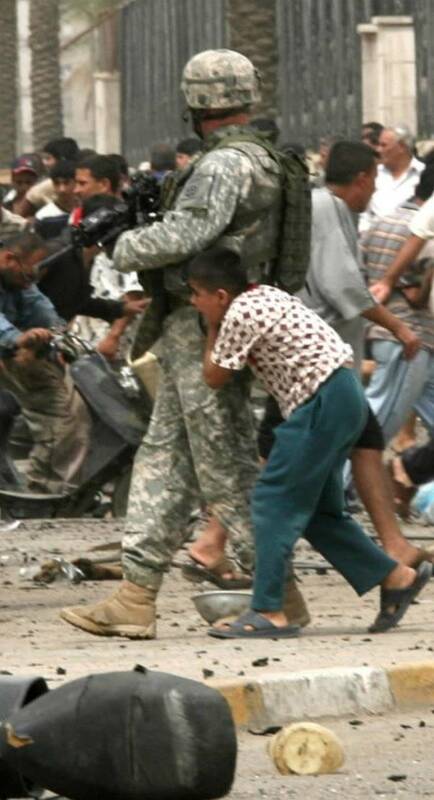 Photographer Khalid Mohammed would receive the Pulitzer Prize for the photo. Follow Photographer.As for the Airborne soldier…it shows just another moment from the Hell of War…and the human-side of, who our soldiers really are. For all those deployed over the holidays, Thank you.